Human Growth Hormone or HGH is now considered by many as a remedy to fight the ravages of time. It’s basically a peptide hormone that stimulates growth and regeneration of cells in humans and other animals. It’s essential in human development. These days, HGH is used to serve many purposes that even go beyond health. Presently, HGH is regarded as a youth potion. It’s reported to reverse the effects of aging. Aside from this, studies also suggest that it shows promise as means of curing the mind. In a 2010 research published in the Journal of Neurotrauma, it was shown that subjects performed better on a series of cognitive tests after they received HGH. 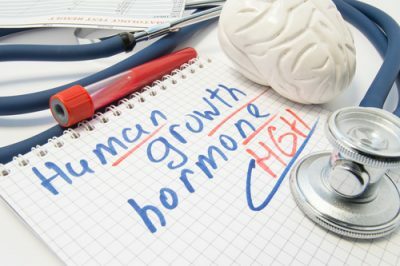 It’s then reported that cognitive impairments in humans could be brought by the inadequacy of growth hormone, which could possibly be partly reversible with GH replacement therapy. While most people are certainly looking for ways to reduce their risk of cancers, HGH may be doing the opposite. Some reports indicate that HGH may augment the risk of certain cancers, although research that imply this have yet to be conclusive. A recent study published this year reports that HGH might be associated with a heightened risk of bone and bladder cancer. Also, for patients who have been previously diagnosed with the illness, HGH appeared to increase the possibility of cancer mortality in the future. Studies suggest that the weight gain your body generates as you get older could be undone when your body produces more growth hormones. A study published in the New England Journal of Medicine determined that participants over the age of 60 shed fat by more than 14 percent after taking HGH. Aside from shedding pounds, the participants also had an increased lean body mass by 9 percent. However, newer studies seemed to contradict these results, denying the link between HGH and muscle growth. Many parents are attracted to the idea of offering HGH to their kids to make them significantly taller. However, experts said this is a false notion. HGH shots will only provide 1-3 inches of extra growth averagely. If the child‘s genetics binds him to be petite, chances are, he or she will stay that way. HGH cannot just miraculously turn your kid into having a towering height. Multiple studies have found a correlation between HGH and diabetes. 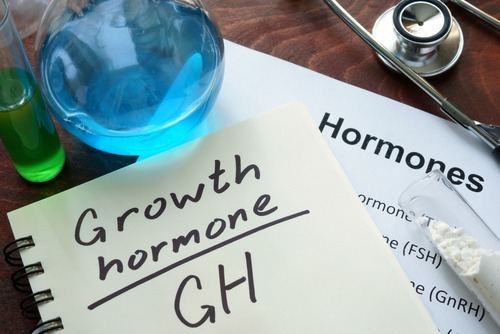 This is because increases in growth hormone could boost the body’s insulin resistance. This issue could ultimately result in type 2 diabetes. HGH is substantially regulated. It can only be prescribed to address a few conditions and to serve a few purposes. However, this doesn’t stop people from getting HGH products illegally. These supplements can be in the form of pills, injectables, or spray. But whatever kind of HGH you’re taking, if it’s not prescribed by a doctor, its use can be detrimental to your health. You’re also putting yourself at risk by taking something that could be a placebo. It’s been shown in studies that the use of topical growth hormone can accelerate the curing of burns of skin grafts. There are clinical tests being performed as we speak to determine if HGH injections can quicken the recuperation from ACL knee injuries. Those athletes expressing strong confidence in the effectiveness of HGH could also be taking other drugs, which include anabolic steroids and testosterone boosters. These could be responsible for the enhanced physical results they’re experiencing. To back this up, a research in 2010 found that the notable gains the participants experienced came from the use of testosterone primarily, with the growth hormone only delivering a secondary increase.